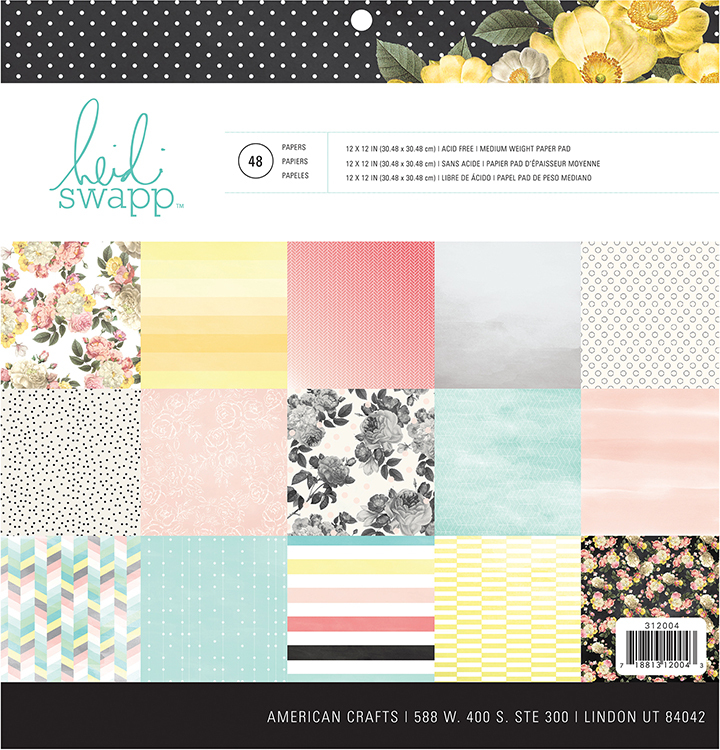 ...so I was so excited to be asked to put something together using the new Heidi Swapp Memory Planner 2016 items to create a layout! This is probably one of my very favorite paper collections of all time...the color palette is out of this world! I selected a couple of my favorite patterns and got to work. The paper pad coordinates perfectly with all of Heidi's new planner accessories...so it was no problem using them to help embellish my page. 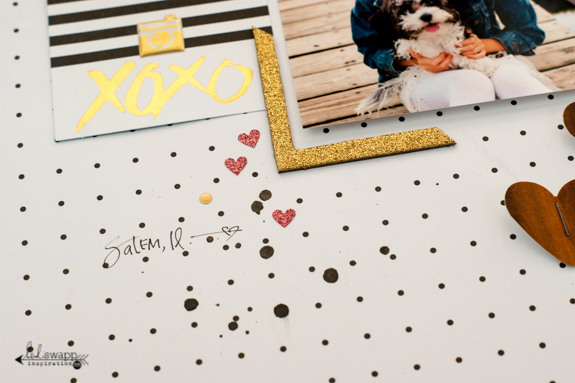 I love the look of ink splats on my page, so I used a few of the gold glitter hole reinforcements to simulate the look. 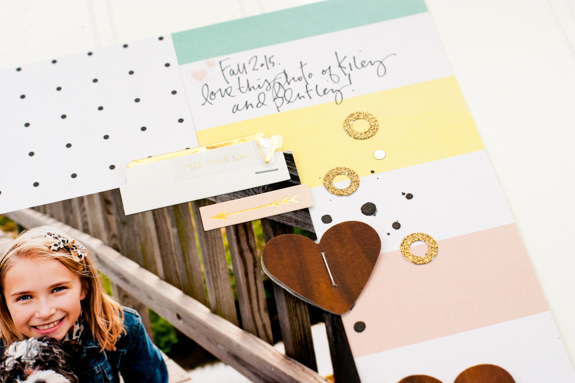 A trimmed-down gold glitter frame helps anchor my photo and adds tons of sparkle! I added a couple of short lengths of washi tape to the striped paper...and spelled out the word "LOVE" with gold glitter stickers. 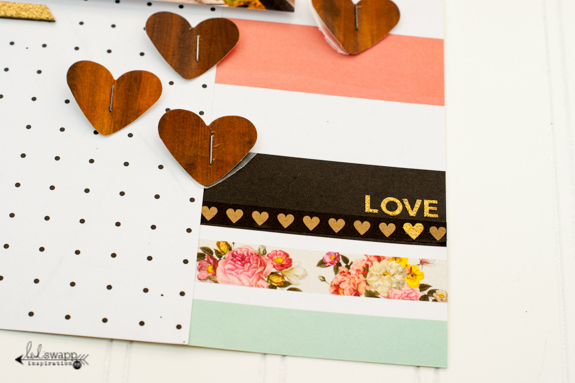 To create the woodgrain hearts, I adhered a length of the 2" woodgrain washi tape from Heidi's Spring Marquee Love Collection to some white cardstock. Then I simply punched out the hearts with a paper punch. 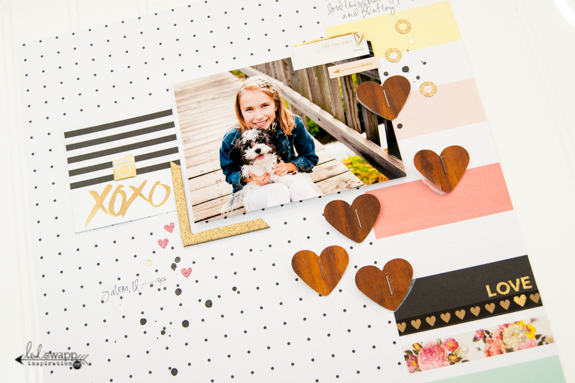 I LOVE the look and texture the woodgrain adds to this glittery, feminine layout. This is absolutely beautiful! Your pic is so adorable!! 'Love all the elements that made your layout so complete! !